India vs England 5th Test Live Cricket Score Streaming Online, Ind vs Eng Live Cricket Score Streaming: Catch Live score and updates of India vs England 5th Test on Sony Six live Cricket, Sony Ten 3 HD live Cricket Match. 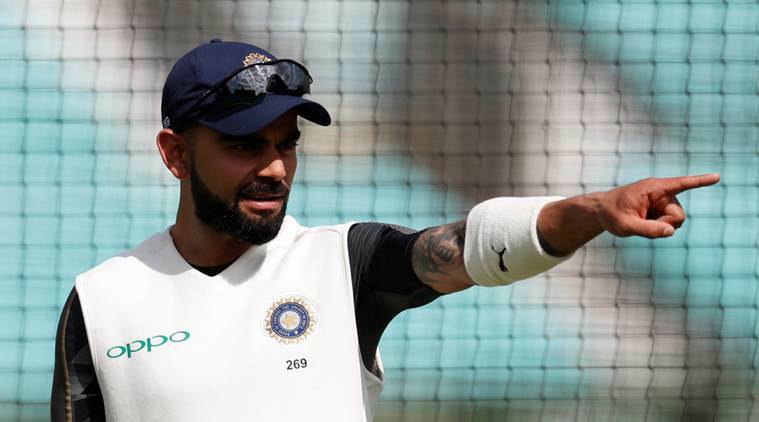 India vs England 5th Test Live Cricket Streaming, Ind vs Eng live Cricket Score: India could not continue on the good form they gained from the third Test at Trent Bridge. Loss in the fourth Test at the Rose Bowl in Southampton meant that England have won the series 3-1 and the fifth Test becomes little more than a formality. Indian captain Virat Kohli has a chance to cross 600 runs in a series for the fourth time. That will put him second behind Sir Don Bradman on the all time list for most 600-plus series scores in a career. The Indian bowling attack have had a good series. The batsmen, on the other hand, apart from Kohli, Ajinkya Rahane and Cheteshwar Pujara, have all struggled. This match also the marks the last time that Alastair Cook will walk out on to the pitch for England. When is India vs England 5th Test? India vs England 5th Test match will begin from Friday, September 7, 2018. Where is India vs England 5th Test? India vs England 5th Test match will be played at The Oval, London. What time does India vs England 5th Test match begin? India vs England 5th Test match begins at 3:30 PM IST. The toss will take place at 3:00 PM IST. Which TV channels will broadcast India vs England 5th Test match? India vs England 5th Test match will broadcast on Sony Six and Sony Six HD in English commentary and Sony Ten Sports 3, Sony Ten Sports 3 HD in Hindi Commentary. They are the official broadcasters for the tour. How do I watch online Live streaming of India vs England 5th Test? India vs England 5th Test match Live streaming will be available on SonyLiv. You can catch Live scores, Live updates and Live commentary on IndianExpress.com. What are the squads of India vs England 5thTest?